Australian company Transit Systems is geared to take over one of London’s busiest bus routes, with the official transition to begin next weekend. Transit Systems announced in April it had spent £21.3 million (AU$31.41 million) to buy three strategic London bus depots from FirstGroup. The Redland City-based transport company has now revealed it has purchased 20 London bus routes from First Group, including London’s busiest route, route 325, which transports about 440,000 passengers a week. 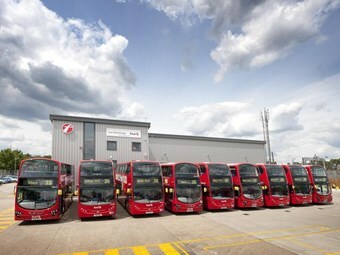 Under a $33.5 million deal the Redland-based business will operate Tower Transit, carrying 111 million passengers per year, with 1,500 workers and more than 400 red double deck and single deck London buses from depots at Westbourne Park, Lea Interchange and Atlas Road. The company has also recently won a string of domestic contracts. Notably, the company’s Torrens Transit division was re-awarded a key contract area in South Australia after poor performance reviews forced Transfield Services to forfeit eight routes, including areas such as Marion and Port Adelaide. The company also has bus services in Western Australia and will transition a Western Sydney bus contract in October this year. Tower Transit will also be the only operator of hydrogen powered buses in London. Transit Systems is an Australian company, owned by the Leishman, Smith and Francis families. Transit Systems has about 1,000 buses and more than 2,000 employees operating metropolitan bus contracts in the Australian cities of Perth, Sydney and Adelaide.